In a way, this is understandable. The residential-focused deliveries that make up most e-commerce activity are not as profitable as the more traditional routes that go through business plazas or other high-commerce areas. Shipping costs will naturally go up as carriers try and maintain profitability amidst a changing landscape. 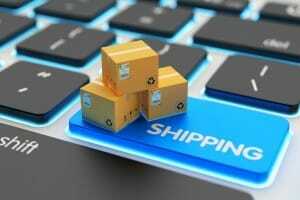 Being able to maintain competitiveness will therefore require companies to look at their e-commerce shipping practices in 2017 and consider how to make their goals align with those of their carrier in the most cost-effective way. When shipping carriers announce their general rate increases for the next year, they are usually phrased in terms of the anticipated average rise in costs. Although knowing the average rise in shipping costs is useful, it can also be misleading. If you are told that prices will go up by an average of 4.9%, you may adjust your budget accordingly. This is all well and good, except “average,” by definition, means some costs will rise much higher or much lower than the stated amount. Always be sure to look at the details of your carrier’s changes to fully understand how they apply to your e-commerce shipping activities. You could get lucky and find that costs for you will only go up two or three percent, but it’s more likely that you’ll find areas where the cost increase reaches into the six to eight percent range, under the example used above. Keep these factors in mind and look for ways that can let you take advantage of the lower end of the price increases. The ideal package for a shipping carrier is a small, heavy parcel in compact packaging that is getting sent to areas near where other shipments are heading. E-commerce tends to throw this ideal formula off since residential routes are more spread out and the packages are often lighter and/or irregularly shaped. This is why we now have things like dimensional pricing as carriers try and recoup their profits. Trying to recapture the “perfect package” in your product fulfillment practices can help manage these costs better. The most basic way would be to minimize packaging when possible and keep things as compact as can reasonably be achieved, in order to reduce dimensional costs. Taking steps to centralize your distribution targets is also worthwhile. If you have brick-and-mortar locations, try offering incentives for customers to pick up orders in store. Delivering a group of space-efficient packages to a high-business area will get you better carrier rates than cumbersome shipments spread out over the suburbs. Cannon Hill Logistics is a specialist in outsourced wholesale and retail product distribution, fulfillment, and logistic services based out of Frederick, MD. Our 30 years of experience has been dedicated towards giving the tools and personalized services that any new or existing company needs to streamline distribution and boost market share. Our fulfillment center is 45 miles from the Port of Baltimore and 40 miles from Baltimore-Washington International Airport so inbound freight moves to us quickly and inexpensively. We can ship to half of the USA population within two business days using ground transportation. Feel free to contact us at 1-800-822-4747 for further information.